Bruce Christofferson was born on June 30, 1947 in Lakewood, Cuyahoga County, Ohio, "After his graduation from Bay Village High School in 1965, he attended Ohio State University just long enough to become a diehard Buckeyes fan. He decided to become a ski bum rather than a student and moved to Aspen. There he worked a variety of jobs before Uncle Sam called him to service in Southeast Asia. There being no ski hills in Viet Nam, Bruce quickly opted not to re-up and returned to Aspen. He learned the carpenter’s trade and with several close friends from Aspen, he moved to Eagle Nest, NM, and formed his own contracting company. "His boss at Panadero, former La Veta resident John Caudill, dubbed him 'Jean Bruce' in emulation of Jean Claude Killy, and the name stuck. For short, people called him J.B., a nickname he proudly carried for 27 years. He spent the late 1980s as a ski coach for the Junior Ski Team representing Panadero/Cuchara Valley Resort. John Church was born perhaps about 1768. 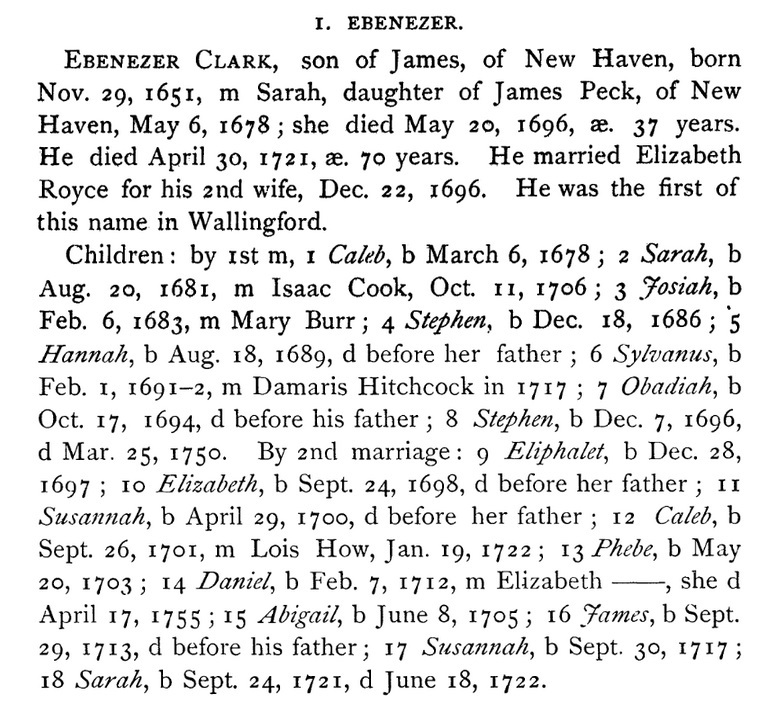 William Eleazar Barton, Lieutenant William Barton of Morris County, New Jersey: And His Descendants, , at https://books.google.com/books?id=wEUbAAAAYAAJ . Oak Park, Ill.: The Vaile Press, (1900) , p. 134.
, , at http://www.rays-place.com/town/wethersfield . William Eleazar Barton, Lieutenant William Barton of Morris County, New Jersey: And His Descendants, , at https://books.google.com/books?id=wEUbAAAAYAAJ . 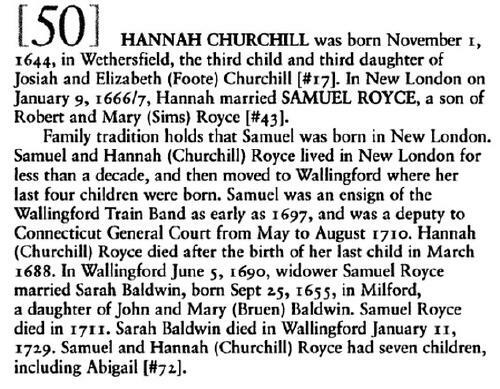 Oak Park, Ill.: The Vaile Press, (1900) , p. 134 also lists an Ann Churchill, sister to Hannah. 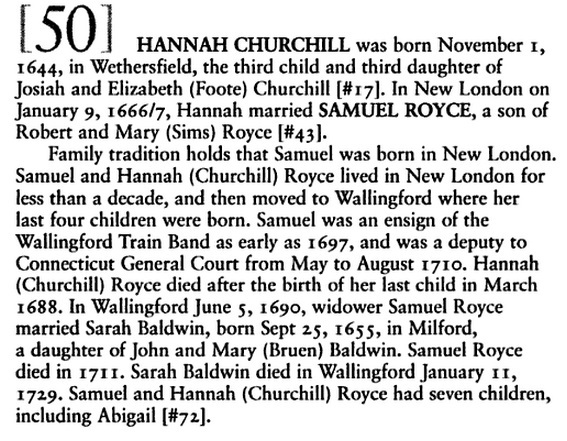 It appears they are the same person, as the names Hannah and Ann were used interchangeably. "United States Census, 1860", database with images, FamilySearch (https://familysearch.org/ark:/61903/1:1:MCQT-LQ4 : 30 December 2015), Andrew Clark, 1860. 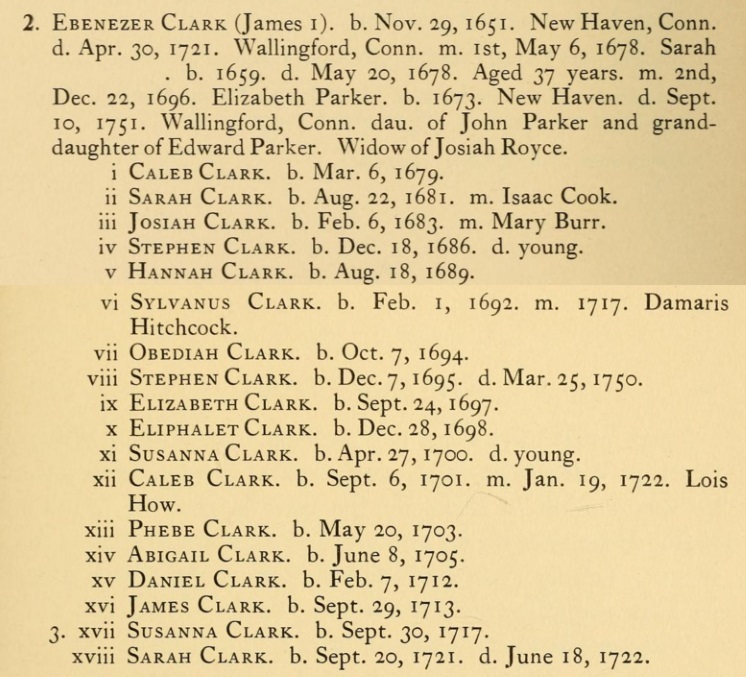 Catherine A. Clark was born perhaps about 1804. "United States Census, 1870," database with images, FamilySearch (https://familysearch.org/ark:/61903/1:1:M82W-YNZ : 17 October 2014), Arthur Parsons, New York, United States; citing p. 165, family 1214, NARA microfilm publication M593 (Washington D.C.: National Archives and Records Administration, n.d.); FHL microfilm 552,614. 1 Charles Henry Stanley Davis, Early Families of Wallingford, Connecticut (Baltimore, MD, Genealogical Pub. Co., c1979). 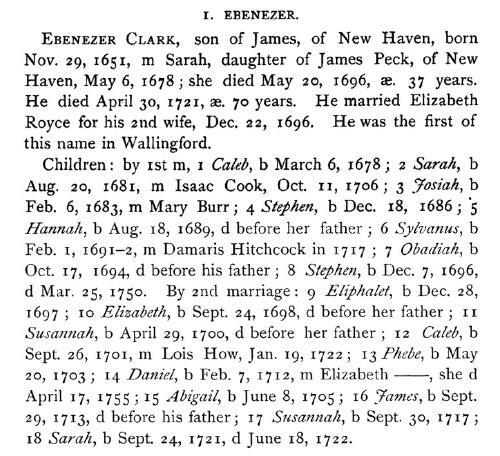 2 Donald Lines Jacobus, Families of Ancient New Haven (Baltimore, Genealogical Publishing Co., Inc, 1974). 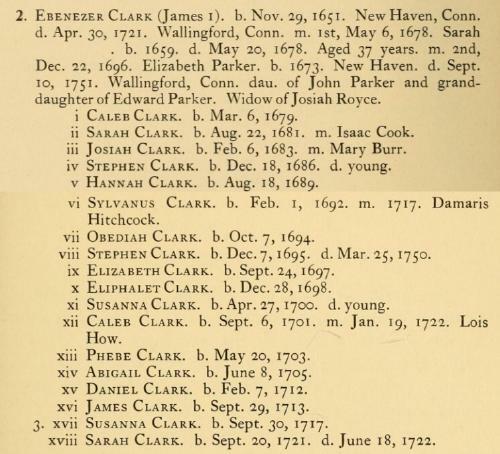 Daniel Clark was born perhaps about 1806.